The Babylon School of Languages, based at The Hall in Salisbury, is accredited by The British Council for the teaching of English. 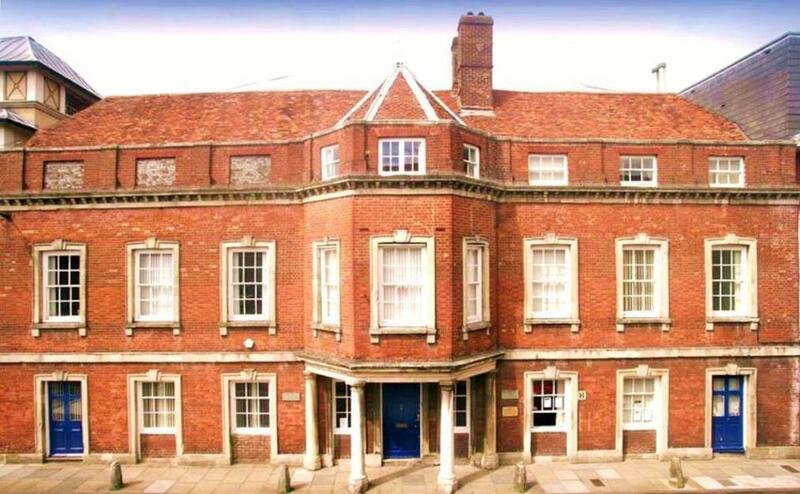 The Hall is a grade 1 star listed historic building, home to Babylon’s headquarters and primary teaching facilities, and is located within a two-minute walk of the busy medieval city High Street. Part of our campus extends into the grounds and precincts of Salisbury cathedral. We supply quality English & Arabic courses in historic Britain and we are only two hours away from London, Heathrow and Gatwick. We also have local international airports at Bristol, Southampton and Cardiff. Our General English courses cover all levels from beginner to advanced and all levels are taught by qualified English teachers. You are given a placement test so that you can be sure that you are in the correct class. There is a particular emphasis on developing your communication skills on our General English courses. You will have lessons based on a course book and study reading, writing, vocabulary and grammar, but you will also take part in activities designed to get you speaking and communicating in English. Even if detailed commercial discussions have to be undertaken in English or through a qualified interpreter, Arabs do appreciate and warm to Western businessmen who have taken the trouble to learn some Arabic and to understand their culture. Any ability to speak the language will improve relationships with Arab colleagues, reduce the chance of misunderstanding with clients and provide added confidence in both the work and social environment – all of which can lead to improved business effectiveness. A lack of cultural awareness when dealing with Arabs can all too easily cause inadvertent offence and jeopardise carefully developed client relationships. Babylon has been providing Arabic language training for the UK Ministry of Defence since 2003. University Prep course all year round including transferable study skills, academic culture, IELTS & PTE preparation and advanced academic writing course. All of our Professional English courses are taught by experienced and qualified teachers who use modern interactive course materials and specialist area content. Courses can include visiting speakers from various industries as well as visits and tours of professional organisations. Our Professional English teachers have various vocational backgrounds. Courses can be tailor made to match your exact needs for individuals or groups. We can provide you or your company with a comprehensive Professional English package. Young Learners Babylon Summer school promises an experience that will stay with you forever. In 2015 we will be running two age groups 12-14 and 14-17 with activities, themes and lessons aimed at each. At Babylon, we promise to make your trip to the UK an exciting and wonderful experience – combining English learning with fun-filled activities to develop your confidence and ability in using English both inside and outside the classroom; it’s also a great opportunity to meet new friends from all around the world. We offer our TKT courses for groups or individual teachers wishing to work towards the TKT exam. The course gives teachers a strong foundation in the core areas of teaching knowledge needed in the English language teaching classroom. It is ideal for all teachers, whatever their background and teaching experience, and is also suitable for people who would like to teach English but do not yet have a teaching position.